From Animal Abstractions to Asylum of the Birds, Roger Ballen’s haunting and evocative photographs exhibit his immense fascination with the animal kingdom. 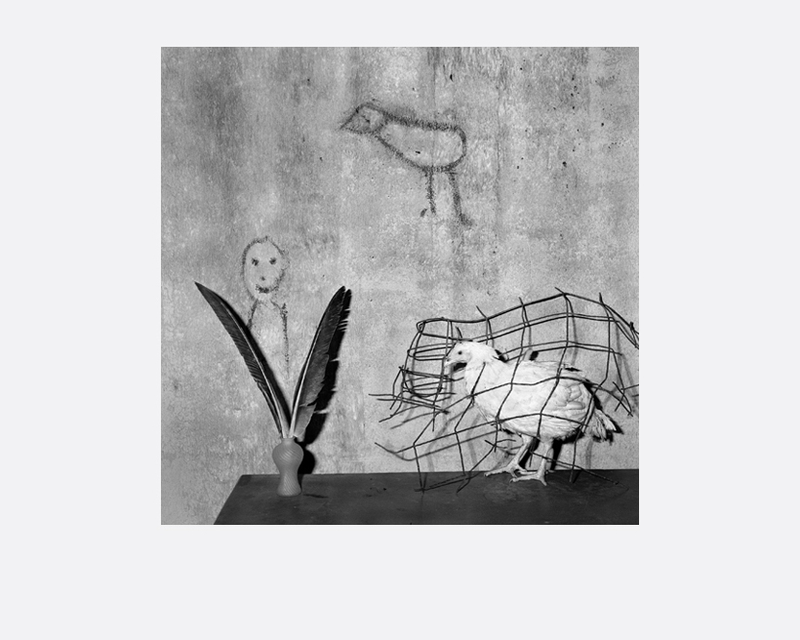 Menagerie showcases Roger Ballen’s iconic photographs, all taken entirely within the confines of a house in a Johannesburg suburb, the location of which remains a tightly guarded secret. Come hear insights on how he defies genres and defines his own artistic practice in this talk and book signing session. Book signing will take place after the presentation. For over 30 years, Roger Ballen (b. 1950, New York/South Africa) has lived and worked in South Africa. His work as a geologist took him out into the countryside and led him to take up his camera and explore the hidden world of small South African towns. At first, he explored the empty streets in the glare of the midday sun but, once he had made the step of knocking on people’s doors, he discovered a world inside these houses which were to have a profound effect on his work. These interiors with their distinctive collections of objects and the occupants within these closed worlds took his unique vision on a path from social critique to the creation of metaphors for the inner mind. After 1994 he no longer looked to the countryside for his subject matter finding it closer to home in Johannesburg.